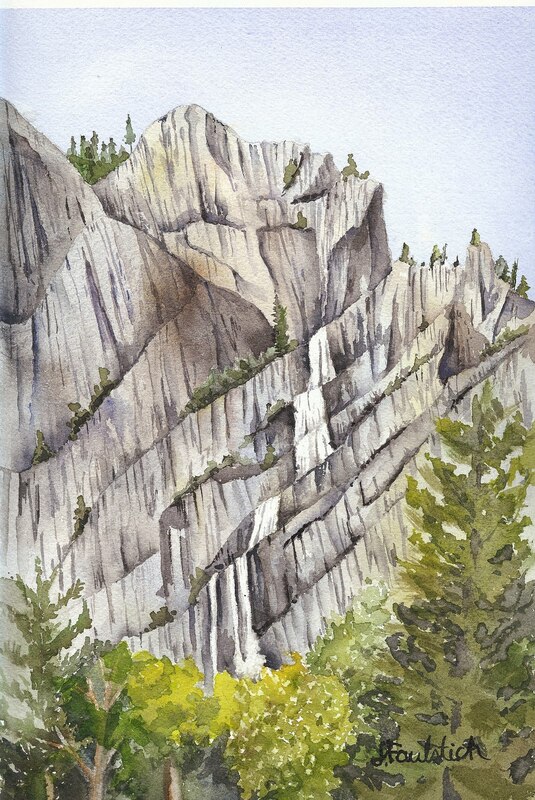 While David and our friends, Erick and Melinda, went on a hike to Mirror Lake, I sat by the shops and cafes at Curry Village and painted the nearby cliffs and falls. 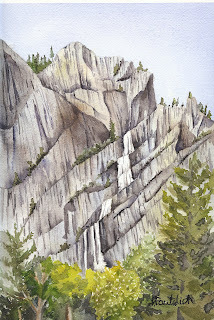 While lots of detail shows in the cliffs, the overall effect is too flat, for reasons I am still trying to figure out. I used a 10" x 12" Arches cold-pressed block. I really like this, the texture the lines in the mountains, the vertical format. Great job! Thanks, Wendy! Hope you're well and getting some work done.